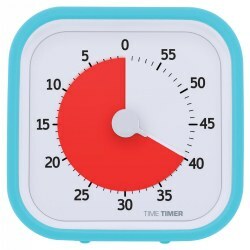 Our signs and time management products are excellent resources and tools to use in the classroom to help children develop their time management skills. 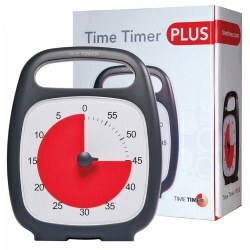 Kaplan's selection includes timers, timer software, and other classroom supplies. 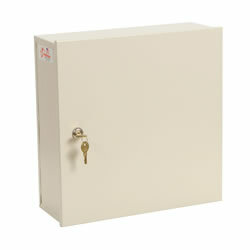 This Medical Locker features one main full size locking door outside as well as one smaller locking compartment inside. The smaller compartment creates a shelf and the box comes with an additional shelf that is removable. Includes 2 keys that lock the outer lock as well as the inside lock. Locker color is beige. 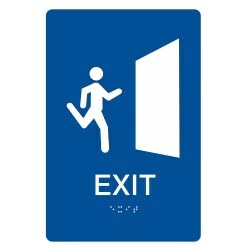 Measures 14"H x 14"L x 5"D.
Exit sign meets ADA restroom sign requirements and includes braille lettering for EXIT. Measures 6"W x 9"H and is made from 1/16" thick indoor/outdoor polymer material. Double faced tape included on backside for easy installation. 3 years & up. Teach children how to visualize and manage the passage of time, so they can be more productive and organized. 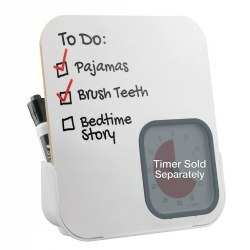 This Time Timer® Dry Erase Board is an activity and message center. It is perfect for time-sensitive messages and keeping schedules on track. Includes dry erase board and caddy to hold markers and supplies. 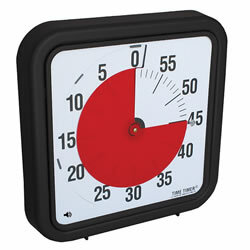 To be used with the Time Timer® MOD (sold separately). Markers not included. 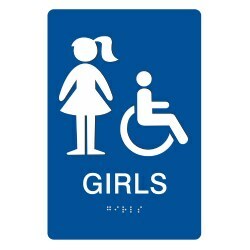 Restroom sign for Girls bathroom meets ADA restroom sign requirements and includes braille lettering for GIRLS. Measures 6"W x 9"H and is made from 1/16" thick indoor/outdoor polymer material. Double faced tape included on backside for easy installation. 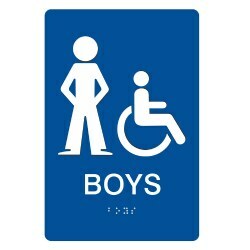 Restroom sign for Boys bathroom meets ADA restroom sign requirements and includes braille lettering for BOYS. Measures 6"W x 9"H and is made from 1/16" thick indoor/outdoor polymer material. Double faced tape included on backside for easy installation. 3 years & up. 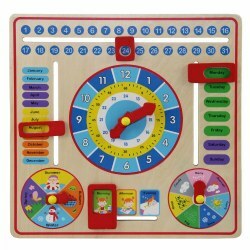 This neat calendar board is an excellent teaching aid for children to learn how to tell time! Kids will learn about hours, days of the week, weather, months of the year, seasons, and much more. 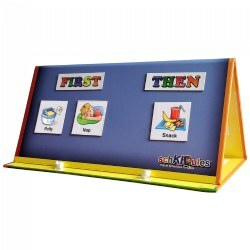 Includes brightly colored slide bars and clock hands for interactive learning. Easily hangs on the wall. 6 pieces total. Calendar measures 12.25" W x 12.25" D x 1.25" H.
The Marathon Dual Timer is able to simultaneously record two separate activities with a functional duration of 59 minutes, 59 seconds. The timer features an alarm volume setting switch for high, low, and mute. The mute setting features a flashing indicator that goes off without sound. 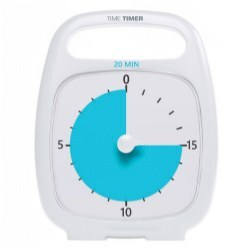 This is the perfect timer for the hearing impaired, noisy areas, quiet areas, schools, cooking, and more. This timer can stand alone or stick to metal surfaces using the strong magnet on the back. Requires 2 AAA batteries which are included. 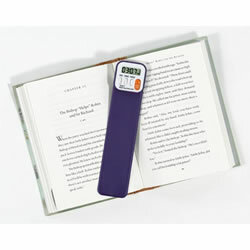 Record daily reading minutes at the touch of a button. 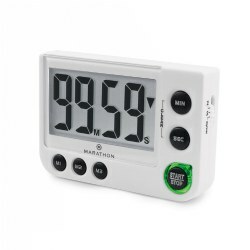 Features programmable countdown timer with alarm, cumulative timer of multi-session reading, digital clock and more. Battery is replaceable.